* December 2013 – Kelly quoted about tricky business of family law in American Bar Association Journal. * November 2013 – Kelly Chang Rickert on OMG! Insider re: Charlie Sheen custody battle. * October 2013 – Kelly Chang Rickert quoted in Forbes re: Withdrawing Money During Divorce and in Reuters re: Dividing Property in Divorce. * September 2013 – Kelly Chang Rickert talks about Khloe Kardashian and Lamar Odom’s possible divorce on OMG! Insider. * August 2013 – Kelly Chang Rickert quoted on page 43 of this month’s Star Magazine: Kourtney Kardashian’s Paternity Suit. * July 2013 – Kelly Chang Rickert authors chapter Aspatore Series: Inside the Minds, Strategies in Family Law, 2013. Available on Amazon.com. * May 2013 – E! Entertainment Bigger, Badder Celebrity Scandals airs with Kelly Chang Rickert as legal expert. * April 2013 – Kelly Chang Rickert discusses Kim Kardashian’s never-ending divorce on OMG! The Insider. 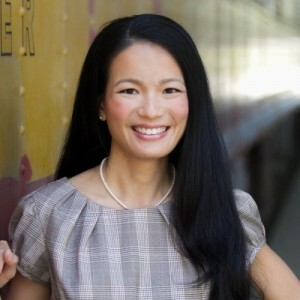 * March 2013 – The Long and Short of why Kelly Chang Rickert became a divorce attorney. * February 2013 – Economic Recovery stimulating divorce rates: Kelly Chang Rickert on CBNC. * January 2013 – Happy New Year!! Pick up a copy of Self Magazine for some good relationship advice by Kelly Chang Rickert.